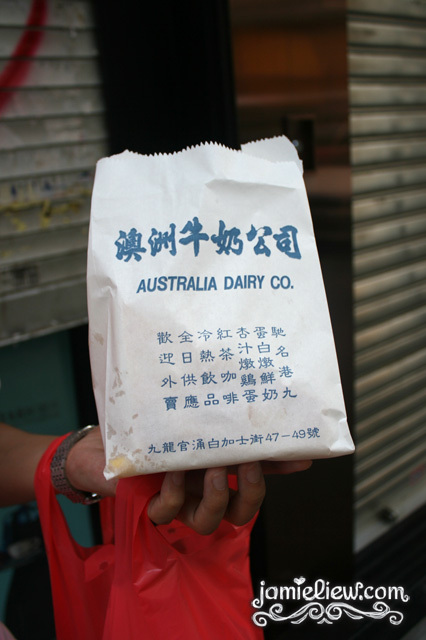 [HK: Jordan] Australian Dairy Co.
so they say that if you visit HK you need to go to this place called Australia Dairy Co. for their scrambled egg sandwich. and I did. this was what I saw. some super duper long queue! if I wasn’t there with a HK friend, I guess I would’ve lined up like the rest of the crowd. 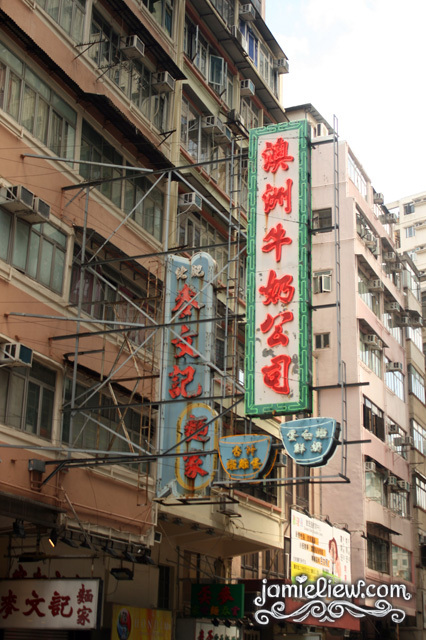 oh and Yee Shun Ngau Lai is only a few shops away! I absolutely love their milk pudding ^^. anyways back to the topic, this place is also known for their “service”. 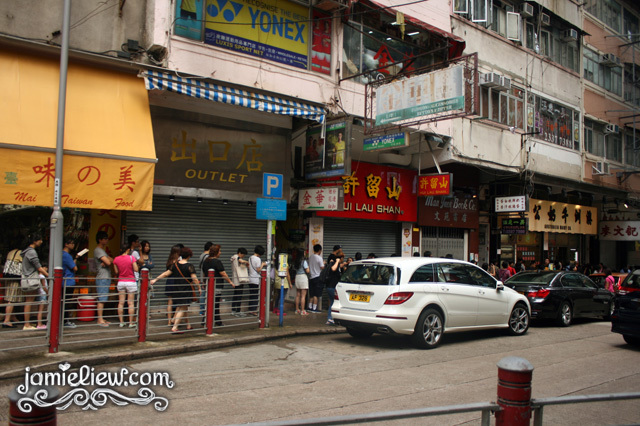 as you can see, the queue to this place is no joke and the staff are really efficient. and in order to be efficient well.. they are pretty rude. but if you behave nicely, order quick and know what you want before hand, then they would be nice and give you a smile. if not.. I don’t know. since I’ve never experienced that haha. but I heard they’d ask you to be quick and all =S. anyways! we had it on take out and it only took 5 minutes! very efficient no? tada! I’ve never had scrambled eggs sandwich to be honest. I wouldn’t even order this if I saw this on a menu in a cafe. =S. so I was really reluctant to try it but since it’s sooooo famous I thought why not! mmm… I am not sure about this sandwich. it was a little bland for me. the scrambled eggs was good yes but not like fabulous. I guess I like mine better with tomatoes. they had some other ones with cheese in it too where many HK people ordered. maybe that one’s nicer. I would say the queue is definitely not worth it. 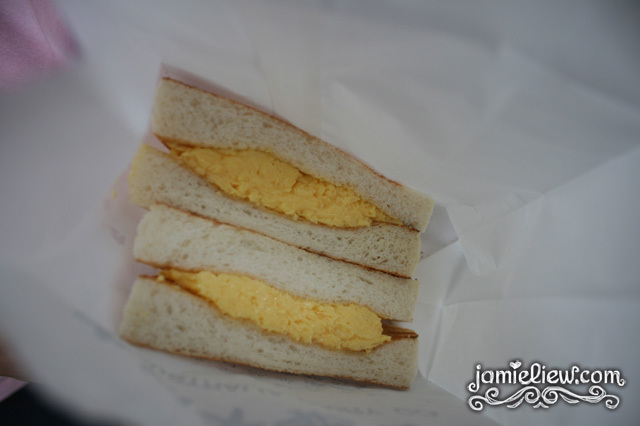 if you are not a fan of scrambled eggs sandwich you should just skip it IMO. 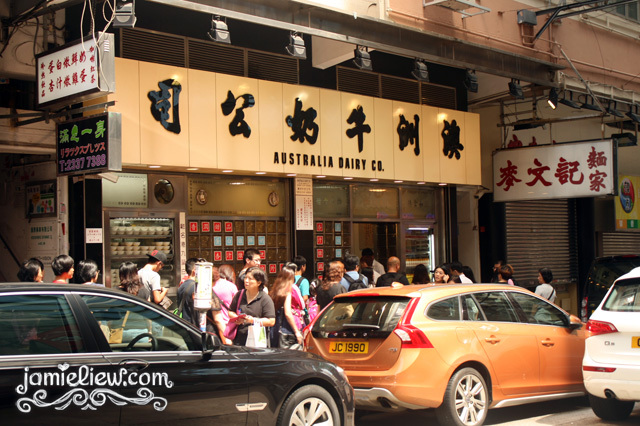 [HK: Central] the amazing milk tea! Hey Jamie~ Sorry to hear about your experience. I’ve been there about twice during my time in HK. It’s a little overrated, but the food is still good and I still miss the food now. I’m not sure about the scrambled eggs sandwich being popular. From what I’ve heard and seen in the cafe their breakfast set is more popular and also what I always ordered. Not sure if it is available for takeaway, but if you are still in HK I’d recommend you to try the breakfast set instead. 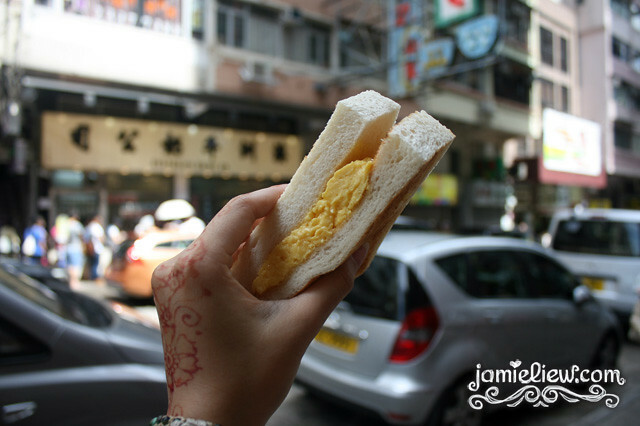 Which comes with signature eggs, toasts or macaroni and HK milk tea. You should try their signature steamed milk pudding too! ah thank you! for steamed eggs isn’t yee shun the best? D: I was brought there by a local so.. will try the rest next time! but I am definitely not looking forward to the queue..